The January 31, 2019 article describes some the institute's history and current research projects. Spatial Reserves, a public domain spatial data blog, recently reviewed the Oregon Spatial Data Library and ranked it the leader among several state data portals, "...the library lists 908 data items–an impressive number, but even more impressive is its simple, modern interface with the ability to browse by collection, format, sources, topics, and keywords." Kudos to INR staff Janine Salwasser and Myrica McCune, and OSU Library staff Marc Rempel and the portal sponsor: Oregon Department of Administrative Services Geospatial Enterprise Office. The story about US Forest Service wildfire management policies includes a map and link to the Oregon Wildfire Risk Explorer. The new tool is part of the Oregon Explorer and is designed to increase wildfire awareness, give a comprehensive view of wildfire risk and local fire history, and educate users about wildfire prevention and mitigation resources. The tool was developed as a partnership among Oregon Department of Forestry, Oregon State University Institute for Natural Resources, OSU Libraries and Press, the US Forest Service, and a wide variety of stakeholders throughout Oregon. Read the latest news from iMapInvasives, the on-line, GIS-based data management system used to assist citizen scientists and natural resource professionals report and monitor invasive species. This issue discusses several high priority plants for collaborative monitoring and management. Lindsey Wise, based at INR-Portland, is the Oregon iMapInvasives Administrator. The new tool is part of the Oregon Explorer and is a partnership among Oregon Department of Forestry, Oregon State University Institute for Natural Resources, OSU Libraries and Press, the US Forest Service, and a wide variety of stakeholders throughout Oregon. Link to presentations from this event. Eleanor Gaines, INR Zoology Project Manager, received the 2018 Outstanding Service Award from the Oregon Chapter of the Wildlife Society. Eleanor coordinates snowy plover monitoring for the state of Oregon. In a February 6 web story, the U.S. Fish and Wildlife Service describes efforts to reintroduce fishers to the northern Sierras. The public-private partnership that organized and monitored the reintroduction included members of the INR fisher research team. Read the latest news from iMapInvasives, the on-line, GIS-based data management system used to assist citizen scientists and natural resource professionals report and monitor invasive species. This issue discusses iMap's new partnership with NatureServe, why species get added to the iMap list, and provides some data updates. Lindsey Wise, based at INR-Portland, is the Oregon iMapInvasives Administrator. In June 2017, INR and Institute for Water and Watersheds (IWW) completed a self-study for the OSU Research Office’s Support Unit Program Review. The report summarizes INR and IWW's history, mission, and 2011-2017 accomplishments. The Oregon Invasive Species Council (OISC) recognized INR staff member Lindsey Wise for her work with iMapInvasives and the Oregon Invasives Hotline. 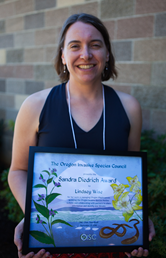 Lindsey received the Sandra Diedrich Award, the council's highest honor presented annually to the person or organization making the most outstanding contribution to protecting Oregon from invasive species. OISC recognized Lindsey’s dedicated efforts to manage the Oregon iMapInvasives program, update the Oregon Invasive Species Hotline website, and collaborate with partners to share information and identify new threats. 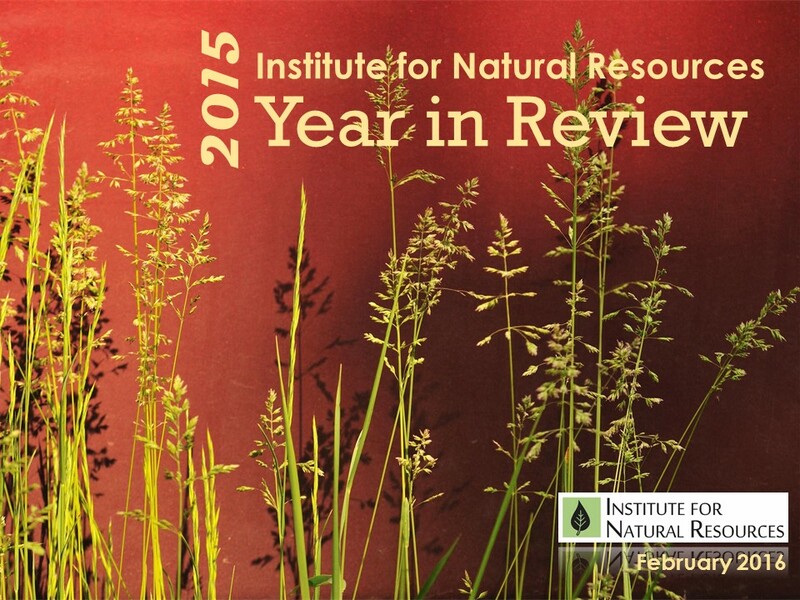 Read a briefing on INR's 2015 projects and accomplishments. In their own words, INR staff highlight some of our 2015 work and accomplishments in this year-in-review report including our work with many state, private, and federal partners. Read about INR's work with biodiversity and conservation of fishers, snowy plovers, and sage-grouse. Also about landscape assessments and conservation planning including work with the Oregon Natural Areas Plan and Oregon Conservation Stategy Habitats. Efforts related to information access focused on a invasive species, ocean acidification, and staffing a legislative task force on the role of scientific reviews Oregon natural resources decisions. 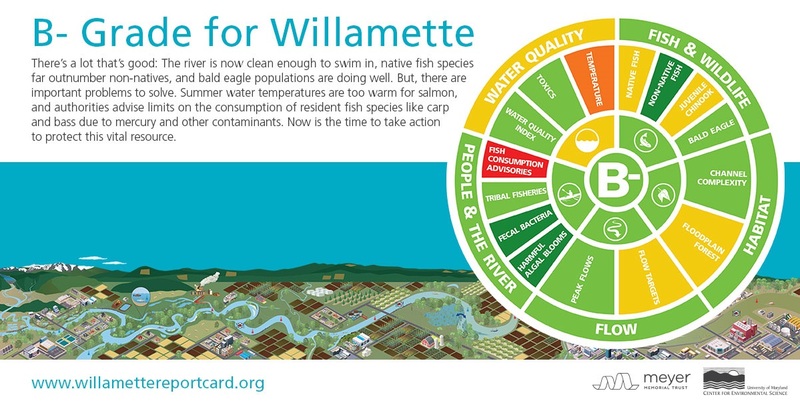 The Institute for Natural Resources provided data and analysis on rare species for the Willamette River Report Card, which gave the Willamette an overall grade of B-. INR staff queried our rare species database and the eBird online bird observation database to assess the health of bald eagle populations along the river, and provided comments and review on the habitat and species categories in the report. All reaches of the Willamette river achieved good and very good grades for the bald eagles indicator, with the upper Willamette scoring 86% (A), the middle Willamette scoring 74% (B), and the lower Willamette scoring 76% (B+). The assessment was developed by the Meyer Memorial Trust’s Willamette River Initiative with the help of the University of Maryland’s Center for Environmental Science and technical experts from more than 20 agencies and organizations, and graded three sections of the river on five categories of health. The Report Card is designed to inspire elected officials, advocates and citizens to come together to shape the next generation of improvements to the Willamette River as the valley grapples with a warming climate, reduced snowpacks and pressure from a growing population. 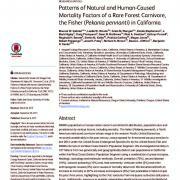 Sean Matthews co-authored a report Patterns of Natural and Human-Caused Mortality Factors of a Rare Forest Carnivore, the Fisher (Pekania pennanti) in California (November 2015) that looks at the fisher (Pekania pennanti), a North American mid-sized carnivore that was proposed for threatened status protection in late 2014 under the United States Endangered Species Act. The authors investigated mortality in 167 fishers from two genetically and geographically distinct sub-populations using a combination of gross necropsy, histology, toxicology and molecular methods. This study is the first comprehensive investigation of mortality causes of fishers and provides essential information to assist in the conservation of this species. 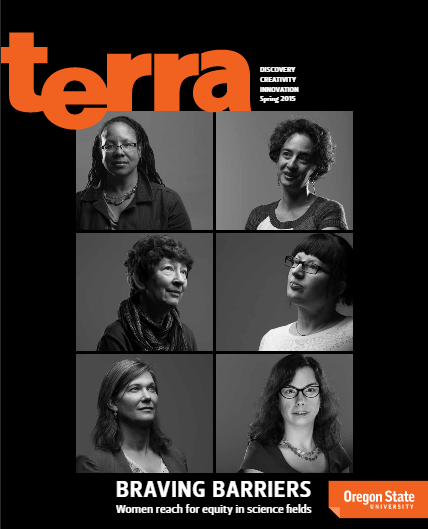 Joe Kemper, who works with IWW and INR and is a graduate student in the Water Resources Program, was highlighted in the Fall edition of OSU's Terra Magazine. Read about his research project which dealt with aquifer science and community conflict in Fall City, Oregon and his passion for kayaking big water. Jimmy Kagan co-authored a report Best Practices for Integrating Ecosystem Services into Federal Decision Making (July 2015) that helped lead to President Obama releasing new policy guidance directing Federal agencies to begin incorporating ecosystem services in Federal planning and decision-making. These actions, and future actions and events, "will enhance our ability to recognize and leverage the benefits of natural systems, protect against natural hazards, and support social and economic development while keeping our communities and our world healthy and livable." Eleanor Gaines served on an expert panel that identified the most-effective methods for protecting western snowy plovers from raptors. The recently published USFS PNW Research Station report that resulted from the panel's work - Assessing Management of Raptor Predation for Western Snowy Plover Recovery - explores the effectiveness and feasibility of more than two dozen humane raptor control measures that can aid western snowy plover recovery. An American Association for the Advancement of Science press release notes that in addition to identifying effective methods for protecting the western snowy plover, the expert panel also "collectively identified types of monitoring information that management agencies could use to develop indices to trigger raptor predation management activities." The strength of Oregon’s new sage grouse conservation plan was a key factor in the recent decision not to add the bird to the federal endangered species list, thanks in part to the work of the Institute for Natural Resources. The Institute for Natural Resources (INR) has played a leading role since 2013 in developing the Oregon Sage-Grouse Action Plan. INR-Corvallis oversaw the full SageCon partnership and hosts the final Action Plan on the Oregon Explorer web portal (http://oregonexplorer.info/content/sagecon?topic=203&ptopic=179), and INR-Portland led the technical portions of the immense planning effort. The Oregon Sage-Grouse Action Plan won final state approval through an executive order issued by Governor Kate Brown on September 17, 2015. This, and similar work in other states, led to the USFWS’s September 2015 decision to not extend Endangered Species Act protections to the greater sage-grouse across its range in eleven states and three-Canadian provinces. Oregon’s Action Plan was among the strongest of the state plans developed across the sage-grouse range and provided key portions of the evidence the USFWS used to justify its decision. 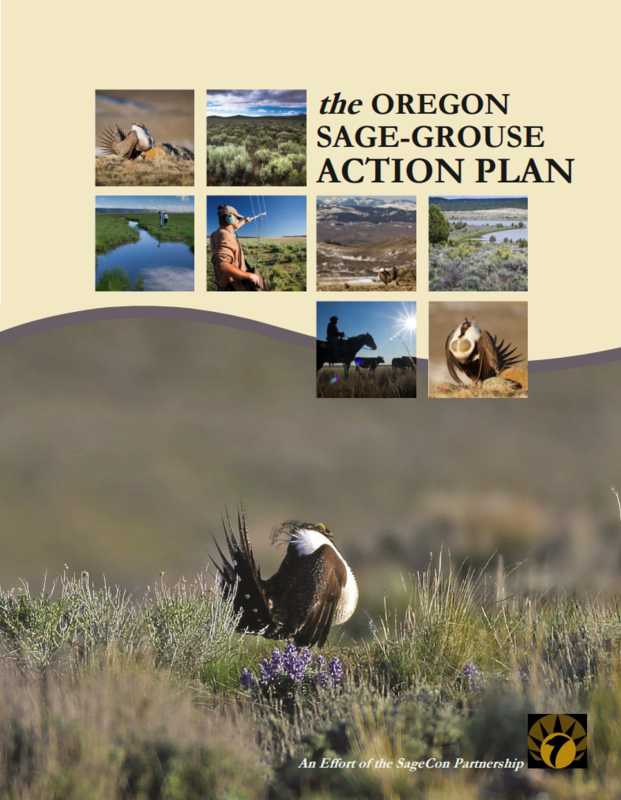 The Oregon plan was the product of a collaborative process undertaken by the Sage-Grouse Conservation Partnership (SageCon) convened by Governor Kate Brown's Natural Resources Office, the Bureau of Land Management, and the Natural Resources Conservation Service. Oregon Solutions and Regional Solutions, located at PSU along with INR-Portland, also played key roles in facilitating SageCon. Through the combined efforts of these organizations and extensive work by local, state, and federal agencies as well as many other individual stakeholders and stakeholder groups, Oregon now has new tools and measures in place to benefit the sage-grouse and sagebrush ecosystems and enhance hope that they will remain part of Oregon’s natural heritage into the future. Oregon State tackles the persistent bias inhibiting women in STEM fields. Lisa Gaines and six other women are interviewed. Lisa is a co-Principal Investigator on the National Science Foundation's Institutional Transformation grant, OREGON STATE ADVANCE. Institutional Transformation awards aim to transform an entire institutional setting to be a more equitable academic environment for women scientists. OSU is working to create an equitable work environment for women and others from traditionally underrepresented groups through a series of new and unique programs. These programs will focus on educating university faculty and administrators about how gender, race/ethnicity, social class, and other aspects of identity combine to disadvantage women in academic Science, Technology, Engineering, and Mathematics (STEM). INR's Oregon Explorer program helped develop a new website called, Tracking Oregon's Progress. It follows 88 indicators that describe economic, social and environmental progress in each of Oregon's 36 counties from 1990 to 2011. The Oregon Community Foundation, the OSU Extension Service, OSU's Rural Studies Program, OSU's Valley Libraries and the Institute for Natural Resources worked on the project. Link to a press release about the website. UO journalism students Virginia Werner and Eli Lapidus describe snowy plover conservation and monitoring efforts, including the work of INR's David Lauten and David Farrar, in this web article. The photographs are beautiful! Link to their full article, Protecting Plovers. 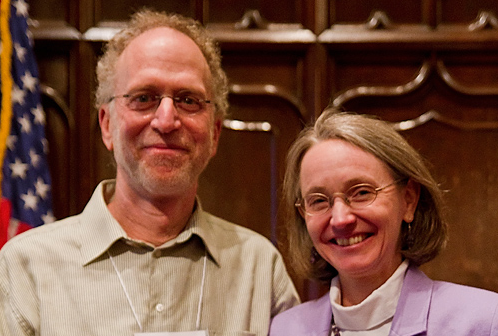 The Institute for Natural Resources’ (INR) Oregon Biodiversity Information Center (ORBIC) received the 2013 Network Collaboration Award at the NatureServe network’s annual Biodiversity Without Boundaries conference in Baltimore. The honor recognizes ORBIC’s leadership in engaging network members in efforts to develop innovative conservation data and information. ORBIC is one of three members of the NatureServe network whose achievements earned the recognition from their peers this year. Lindsey Wise of the Portland INR Office was recently interviewed for a PSU Research & Strategic Partnerships Profile on the the Oregon Biodiversity Information Center's iMapInvasives online tool for mapping invasive species. Jimmy Kagan of the Portland INR Office was interviewed by Shaun McGillis of the PSU Innovation & Intellectual Property office about Conserving Oregon Rich Biodiversity. Oregon Explorer Map Viewer is a GIS based platform developed by INR and OSUL that allows researchers to look at large quantities of continually updated and integrated natural resource data from state and federal agencies, local governments, university scientists, and citizens. Videos by Ryan Johnson. INR, the University of Oregon and the University of Queensland collaborated on a report for the Rural Futures Lab. This report, titled The New Natural Resource Economy and Rural Economic Development, has been featured on the Rural Futures Lab Blog on May 15, 2012. The Winter 2012 edition of the Endangered Species Bulletin featured a story on Western snowy plover recovery on the Oregon Coast. INR's Oregon Biodiversity Information Center (ORBIC) is part of the multi-agency recovery team and leads plover population monitoring.